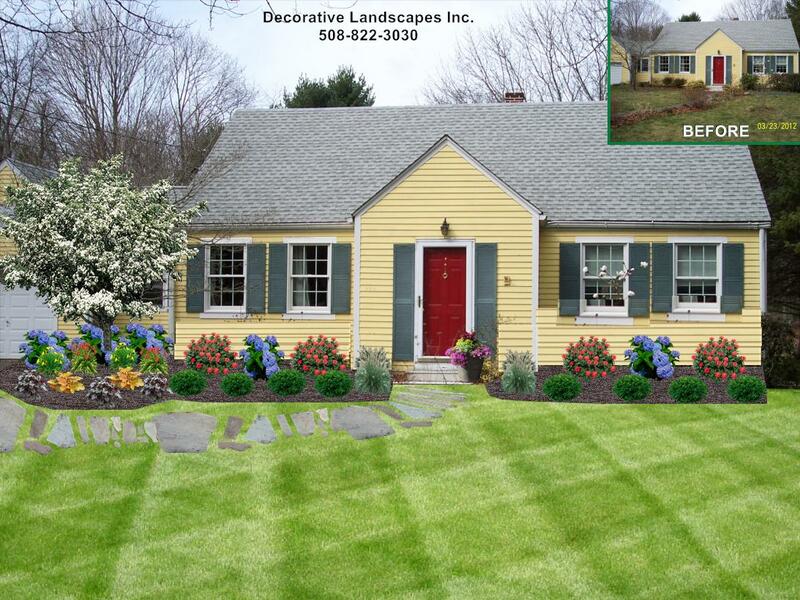 landscape design, MA, Landscape Designer MA, Landscaping design MADecorative Landscapes Inc.
Watch this video to see how it works! Stunning landscapes begin with a well thought out and unique landscape design. 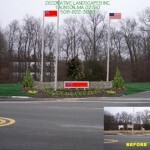 Our exclusive “Photo Image” or 3D landscape design begins with a “photo”. The area to be designed will be photographed and through specialty software, Kim manipulates the image to visually create your ultimate landscape design including plants, hardscapes, water feautures and whatever other elements that may be requested. Whether you are looking for a residential front yard landscape design, backyard landscape design, pool area landscaping, outdoor living space design or commercial property design our design services can show you the finished project before any groundbreaking begins. With the above stated, you want to make sure that you are getting the best landscape design for your property to get the best return whether it be for your own personal use or for profit selling your real estate someday. So, what better way to assure you are getting the best design than to actually see the finished product before it is installed! That is what Decorative Landscapes Inc. and Exclusive Landcape Designer Kim Gravel will offer you. Kim will design a landscape, whether it’s a backyard retreat or front yard curb appeal, to fit your desires and dreams while keeping within budget. Kim can achieve a look for you that will make your home unique and inviting to family, friends and neighbors while also being the envy of passers-bye. 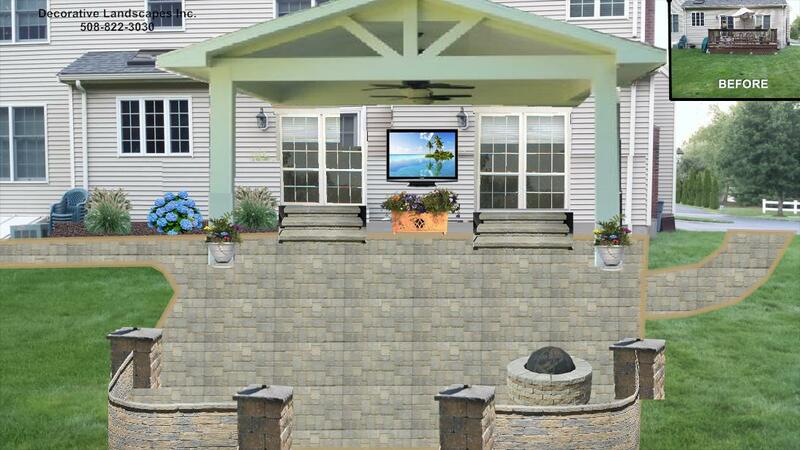 Can you visualize your landscape project like Kim’s clients can? If not give Kim a call or send her an email and she will be happy to visually design your next project. You will also notice that Kim’s designs are not your “Average Joe’s”. She prides herself on exciting innovative ideas that incorporate unique plants that will survive in our Northeast environment. Unless of course, you want the average design and that can be arranged as well. Design service fees are based on the scope of work. Call today for an estimate.